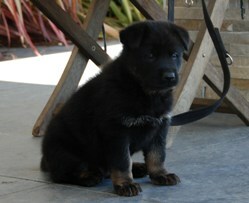 Von Forell has dedicated a life time to a constant global search for the highest quality German Shepherds. Although temperament is of paramount importance, Von Forell places equal importance on the health of the dogs chosen to continue the potent bloodline developed. 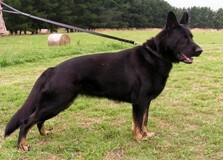 Through intensive research and development and a detailed understanding of the complexity of genetics Von Forell has managed to achieved a very unique and particular type of German Shepherd. You will notice the striking physical characteristics, such as bone, substance, dark pigment, functional conformation. Additionally the temperament is driven, uninhibited and mentally equipped to deal with modern mans world. 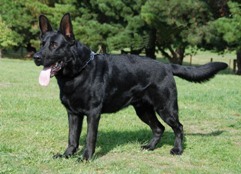 It is important to know that Von Forell has not left a stone un-turned in a quest to find the Finest German Shepherds with the correct genetics and biological expression. After many years of breeding and working with German Shepherds, Von Forell has achieved a proficient understanding of the global gene pool. This allows Von Forell the ability to identify certain bloodlines, individuals and combinations that produce particular types of character traits that will suit you best. Please browse through the specific category that suit your requirements and then feel free to contact us for a consultation to further discuss your new Von Forell Puppy.